According to reports, FBI officials have been trying to convince the father of ex-contractor and fugitive whistleblower Edward Snowden to fly to Moscow airport and get his son back to the U.S. — but efforts broke down when officials couldn't set up a definite way for the Snowdens to communicate. In an interview with the Washington Post, Lon Snowden claimed that the FBI had asked him to travel to Russia and convince his son to return to the United States, but that they wouldn't confirm any details about how that would happen. “I could get on a flight tomorrow to Russia. I’m not sure if I could get access to Edward,’’ Snowden added. Lon Snowden also appeared on Russian state TV early Wednesday morning and addressed his son, wishing him well and sending encouragement. 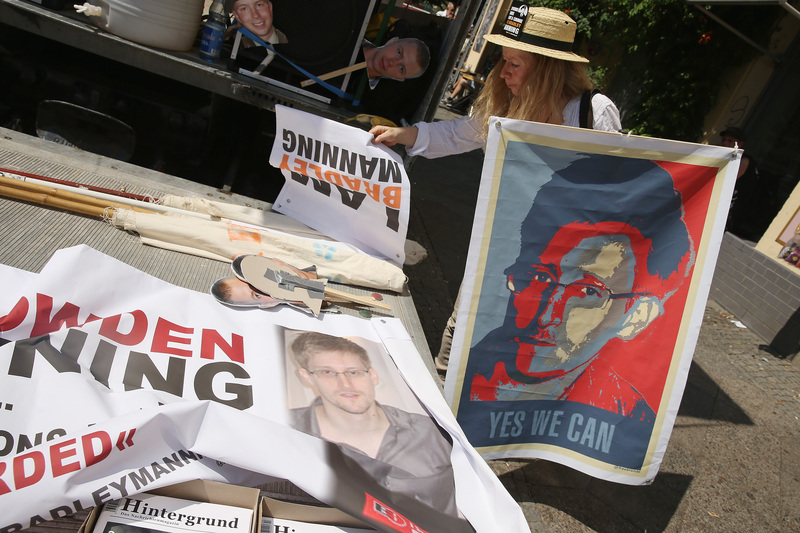 "Edward, I hope you are watching this," Lon Snowden said in the interview. "Your family is well. We love you. We hope you are healthy, we hope you are well, I hope to see you soon, but most of all I want you to be safe. I want you to find a safe haven." He also thanked the Kremlin for protecting the wanted younger Snowden. "I also would like to thank President Vladimir Putin and the Russian government for what I believe to be their courage and strength and conviction to keep my son safe," he said. According to Edward Snowden's lawyer, the fugitive still hasn't had his asylum status resolved and so is stuck in the transit area of Sheremetyevo airport indefinitely, but is currently planning on staying in the country long-term — once he gets in. The lawyer also said Wednesday that he is now trying to help Snowden's father get to Russia, adding that he would send Lon Snowden a letter of invitation to the country at some point during the day. On Wednesday, the NSA also confirmed that no one was fired (or offered to resign) over Snowden's leaks to the press.